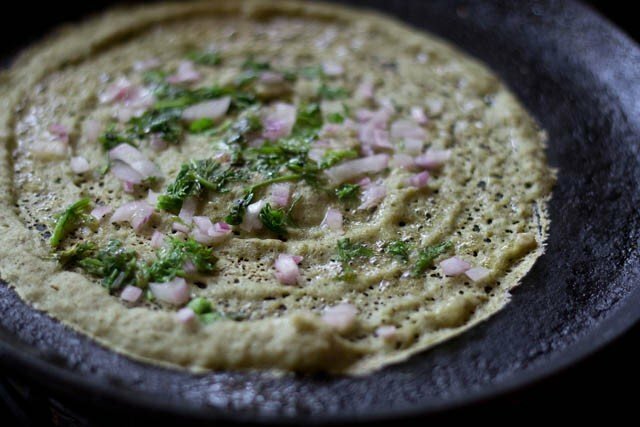 Pesarattu dosa recipe - crisp and delicious dosa made from whole mung beans. healthy & nutritious too. vegan as well as gluten free. 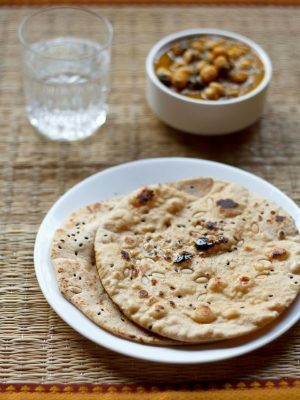 Pesarattu Dosa Recipe with step by step photos – Pesarattu Dosa or Moong Dal Dosa is a popular breakfast recipe of Andhra Pradesh. I make Pesarattu at times as these dosas are easy to make. Just soak the lentils and then grind them. No need of fermenting the batter. You can use the batter straightway after grinding. Pesarattu are a healthy & nutritious Dosa variety. Vegan as well as Gluten free. 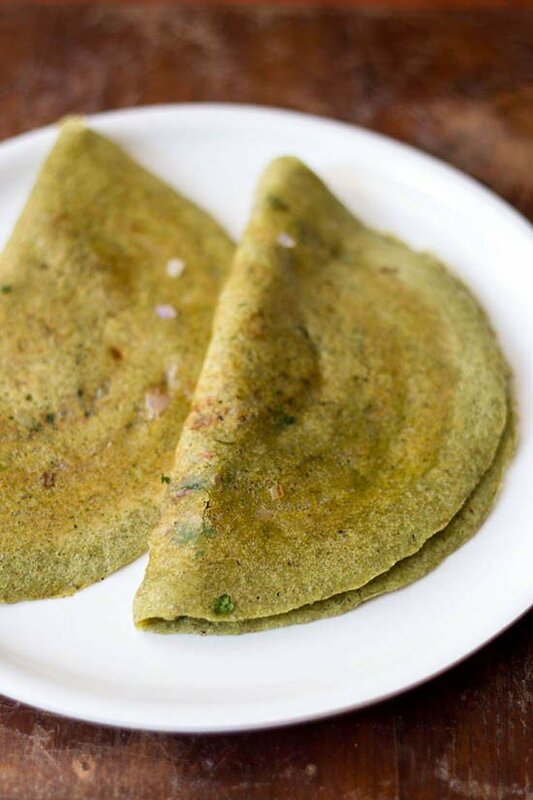 These dosas can be made with whole moong beans or spilt moong lentils which are also known as green gram in English. I usually make the Pesarattu dosa with both the versions of moong dal. The dosa made with yellow moong lentils are more like moong chillas. Whereas the ones made with whole moong beans taste a bit different. But both are delicious. Pesarattu Dosa is served with Upma. The dosa can be served with coconut chutney. They also taste good with a simple coriander chutney. 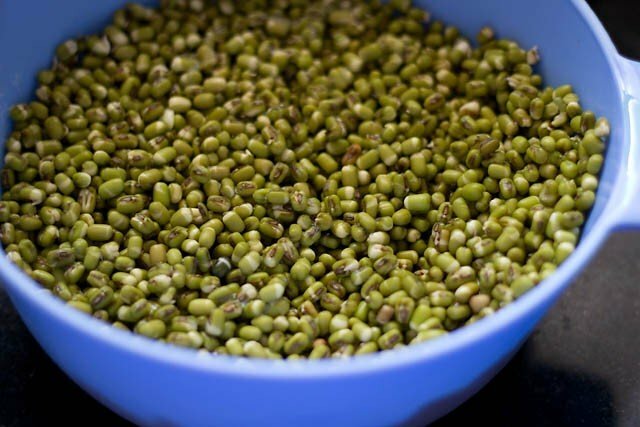 Firstly, pick and rinse the moong beans. Then soak the moong beans overnight in enough water. 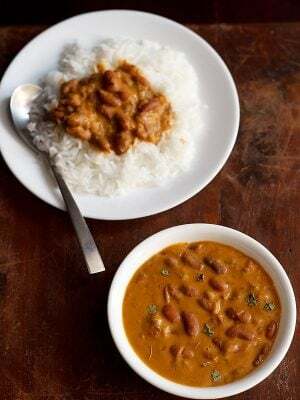 Drain and add the moong beans along with ginger, green chilies, asafoetida, coriander leaves and salt in a grinder jar. 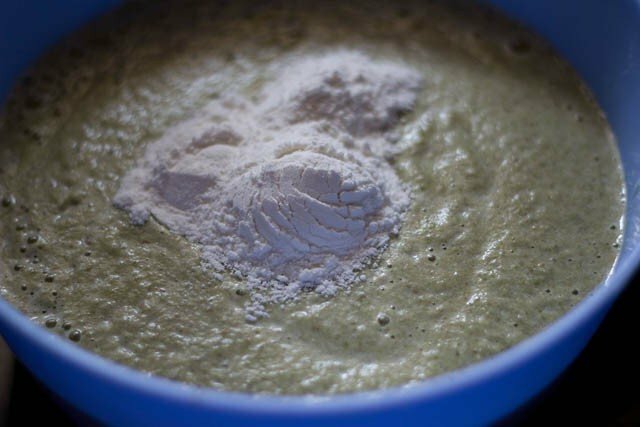 Add some water and grind into a smooth batter. Remove the batter in a bowl or pan. Stir in the rice flour and mix well. The consistency should be similar to a dosa batter. On a griddle or flat pan, spread a little oil/ghee. With a ladle, pour the dosa batter on the griddle and use the same spoon for spreading the moong dal dosa batter into a round shape. Pour some oil on the sides and in the center of the dosa. Sprinkle the finely chopped onion, green chilies and coriander leaves. Press these with the spatula so that they get stuck to the batter which is getting cooked. Flip and cook both sides a couple of times till crisp and browned. 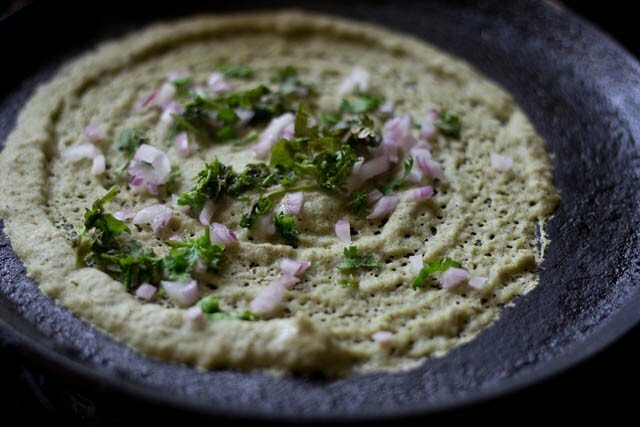 Serve the Moong Dal Dosa or Pesarattu hot with Upma and Coconut Chutney. 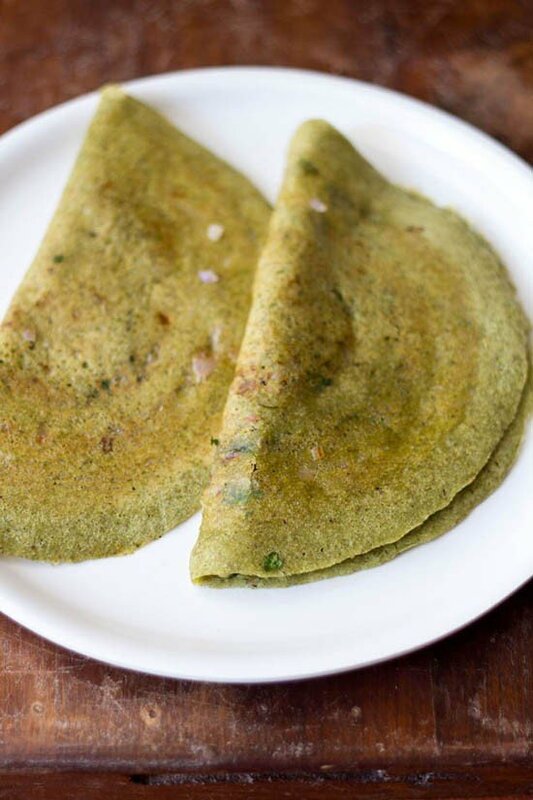 This Pesarattu dosa can also be made with spilt green gram or sprouted moong. 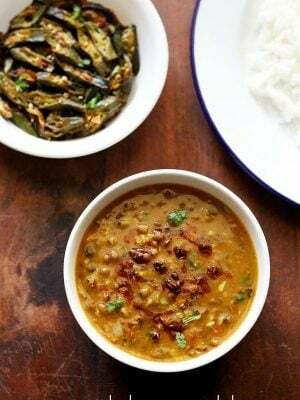 If using yellow moong, then you can soak the lentils for 2 to 3 hours. Instead of adding rice flour, you can also grind both soaked rice and green moong beans together. The moong dal dosa can be had plain too. 1: Firstly, soak the moong dal overnight in a water. The soaked and drained moong beans on the next day. 2: Grind it into a smooth paste in the morning with the green chilly, ginger, coriander leaves, salt with some water. Add the rice flour and stir well. 3: On a griddle, smear a little oil/ghee. With a big spoon, pour the dosa batter on the griddle and use the same spoon for spreading the moong dal dosa batter into a round shape. Sprinkle some of the finely chopped onions, green chilies and coriander leaves. 4: Drizzle oil at the sides and in the center. 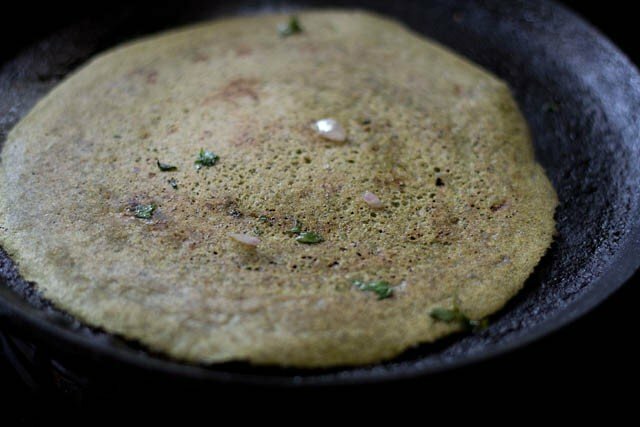 5: Flip the dosa a couple of times till both sides are well cooked and browned. 6: Make all moong dal dosas this way. 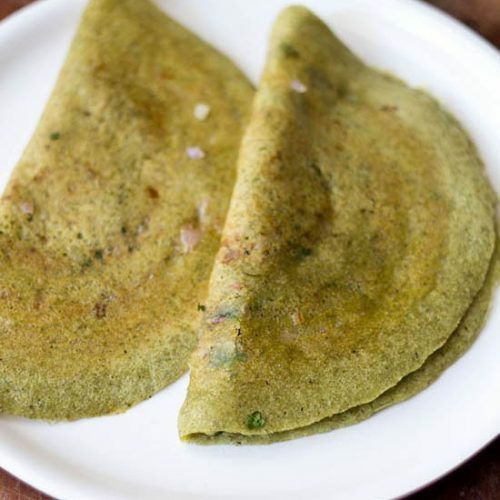 Serve Moong Dal Dosa hot or warm with upma accompanied with coconut chutney. Or just plain with some coconut chutney or coriander chutney. Hi I have been following your site for almost a year and have tried many recipes and they always turn out well.you are doing a great job! Hello mam, thank you so much for your recipes. . I tried masala puri, it came out very deliciously. . My 3 year old boy loved it, I made him taste for the first time. .. even I prefer home made food rather then having on road side. 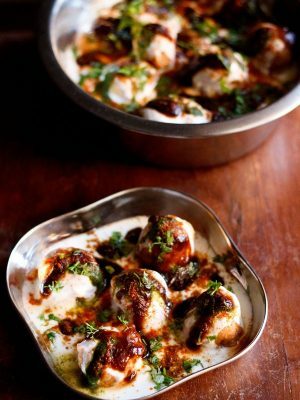 .. golgappa was crispy and crunchy. .. followed all your instructions mam…. m so thankful for your recipe. .
thanks a lot suvarna. glad to read your comment. homemade food is always the best. happy cooking. Could you please tell me if rice flour can be substituted with some other flour? Thank you so much for your recipes. They always turn out great! thanks. 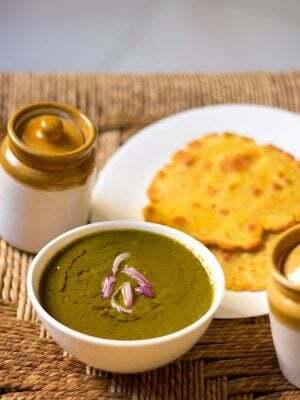 yes you can use besan or any flour like ragi or jowar flour. but these flours will contribute their taste in the pesarattu. you can even skip rice flour altogether. 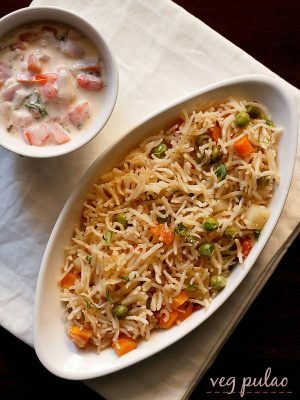 or soak 2 to 3 tablespoons of raw rice with moong and then grind together. I am highly obliged that u started this site and thought of sharing your recipes with others. 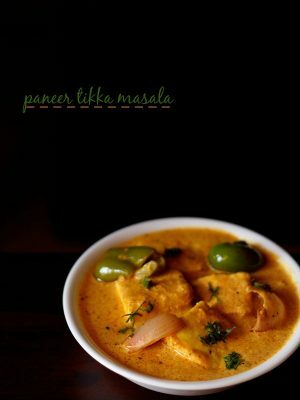 Loved the images, I am drooling and craving this now! Gorgeous.best site for our food family. I’d like to have much more recipes in further detail. Thanks Sridevi for your positive feedback. Will Keep on adding more recipes with stepwise photos. Hi… I love your recipes. I always follow this site as this site gives stepwise details. I had instead app of Veg recipes of India but somehow the app is not working now. I tried to re install but could not find on play store.. Can app be available?? Thanks Prachi for your positive feedback on recipes. Last month we deleted the app as it was not easy to manage it. 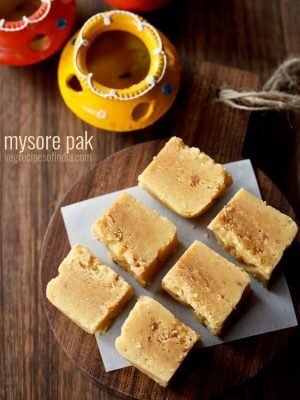 I love this site.have tried so many recipes from here and has always given me good results.thanks a ton for sharing!! Welcome Savitha. Glad to know this. Thanks for sharing positive feedback on recipes.